In 1943 when Britain was in the grip of World War II, the decision was taken by the Allied leaders to invade France. As plans were made for Operation Overlord, there was a need for somewhere to train over 150,000 men. The war cabinet selected suitable locations, and within weeks residents of these villages were given formal notice to leave their homes. Of the villages specifically requisitioned for D-Day, two can still be visited today, Imber and Tyneham. 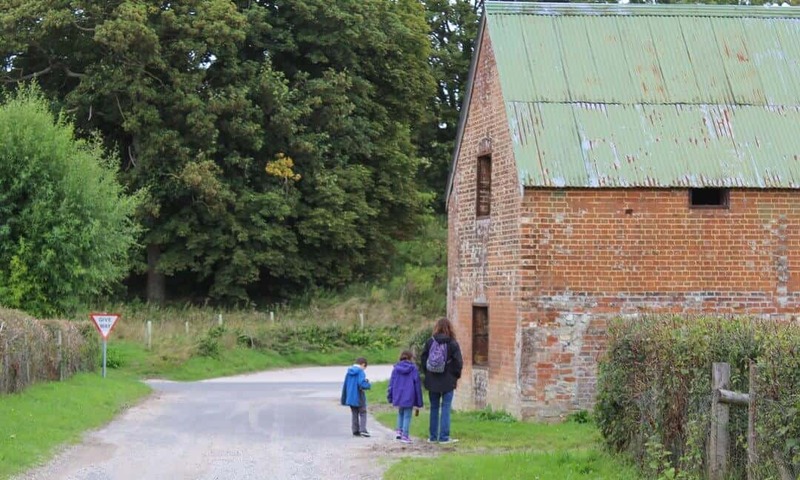 Last year, Sarah took her family to explore these very different abandoned villages for themselves. 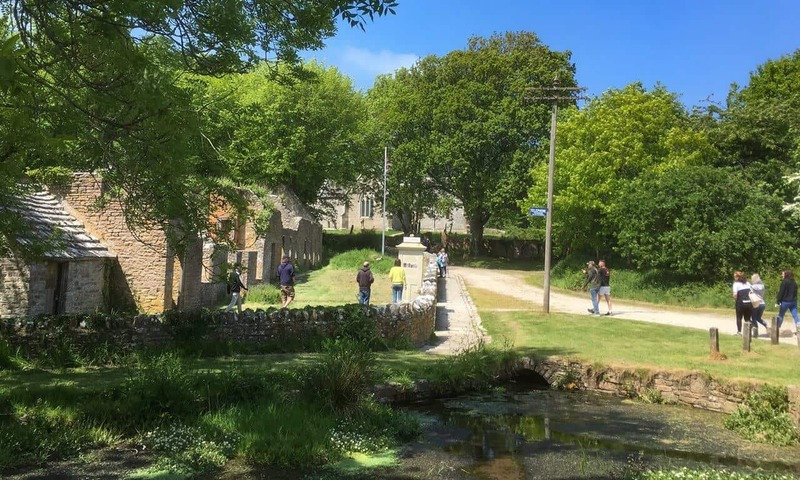 Visitors explore the abandoned village of Tyneham. Tyneham and Imber are two small villages 60 miles apart in the south of England, with similar origins and a strikingly similar fate. For in 1943 they were reluctantly abandoned by their residents and handed over to the military for training D-Day troops. Although both were due to be returned to the residents after the war, neither village was. So today these once loved communities stand derelict, tumbling down and subject to the ravages of time. Although potentially rather forlorn and neglected, these villages offer something unique to the historian as they have not been subjected to modernisation, commercialisation or anything else that comes along in the name of progress. They offer a faded snapshot of village life in 1943 and enable the onlooker to imagine just how life might have been 80 years ago in rural England. 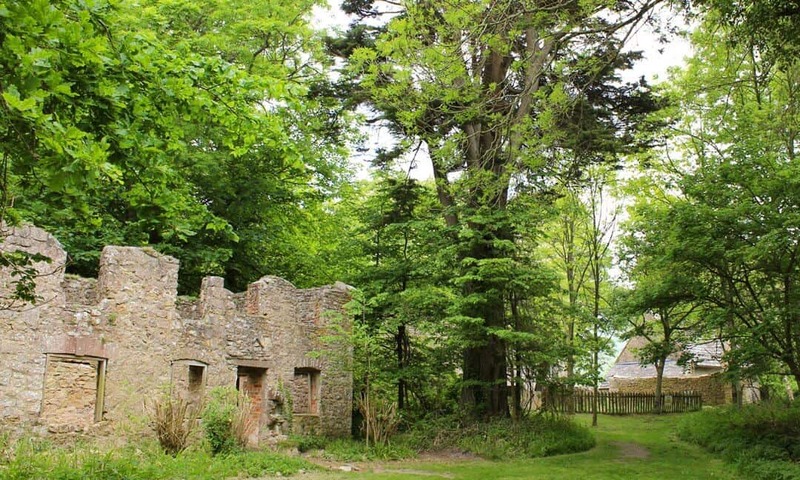 The ruined cottages of Tyneham are slowly being taken over by woodland. On the south coast of Dorset, only a few miles from the tourist traps that are Lulworth Cove and Durdle Door, is the village of Tyneham and the nearby coastal bay of Worbarrow. The area shows evidence of occupation from the Roman times, of fishing communities from the Iron Age and is included in the Domesday Book of 1086. The village changed hands several times and was passed down through the generations until it was bought by the Bond family in 1683, and they retained ownership until the Second World War. Living in a grand manor house, they owned most of the properties and buildings in the village, which included a 13th century church, a school, a rectory, farms and cottages. Off the beaten track and isolated, the villagers continued the traditions of the generations before them, living a peaceful and sheltered existence until November 1943, when each household received a letter from the War Office, giving them just 6 weeks’ notice to quit their properties and move out . Vast tracts of nearby land were already being used by the tank corps, and more space was needed in the run up to D-Day to cope with the influx of extra troops and equipment. The residents packed up their lives, said their farewells and had all gone by the week before Christmas, with the last one, Evelyn Bond, leaving a poignant note pinned to the church door that read, "Please treat the church and houses with care. We have given up our homes where many of us lived for generations to help win the war to keep men free. We shall return one day and thank you for treating the village kindly". The Bond family received £30,000 compensation (nearly £1,000,000 in today’s money) as they owned most of the village. Many of the others were only compensated for the value of vegetables in their home garden plots. They were moved to council houses, some at the other end of the county. One can only imagine how they must have felt, although they were reassured that their homes would be returned to them as soon as the hostilities were over, and there was a resigned acceptance for many with a feeling that they were doing their patriotic duty for the war effort. The whole area was fenced off and the troops moved in. The image of what they had to leave behind is one of a rural idyll but it is important not to over romanticise the site. Villagers were tied to the Bond family in a near feudal set up, working for the family, living in tied properties, working in their farms. The class system was firmly entrenched here with few opportunities to escape it. The arrival of motorised farming equipment meant that there were fewer jobs available on the land and the arrival of the motor car and public transport meant that more people could access nearby towns for less arduous employment. Servant numbers working in the big manor houses across the country were waning and their numbers had dropped even more sharply with the advent of WWII, as staff left to join the military or work for the war effort. The fishing industry at Worbarrow Bay was in decline due to fishing trawlers operating out at sea from nearby Weymouth. The school had closed in 1932 due to a lack of demand. The villagers had no running water or electricity, having to queue at the village pump for water and some walked 12 mile round trips to the nearest town, Wareham, for their supplies. It was a blessing for many to be moved to new homes that had all the modern conveniences, including running water and electricity. However, the fact that so many of them were desperate to return after the war shows that for all its negative points, it was still a home they loved, and that the benefits of living there far outweighed any comfort to be found in their new lives. They had lived within a close knit community, surrounded by family and friends, far away from the troubles of the outside world, in a beautiful unspoilt location by the sea. It is said that many of the older residents died of shock and broken hearts soon after they left their homes. The War Office reneged on the deal and the villagers were never allowed to return. A son of the Bond family, who had spent much of the war as a prisoner at Colditz, was shocked to find out on his return that his family were now living in Corfe Castle. There were several campaigns over the years to return the village to its former inhabitants but none ever succeeded. As time passed, much of the village had gone, the inhabitants had moved on or died and their homes were crumbling away. 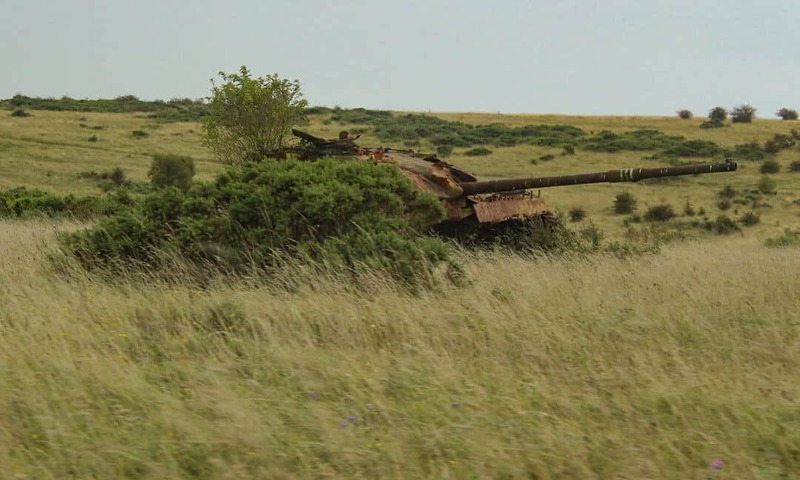 The land is still part of the Defence Training Estate at Lulworth and is still used for live firing exercises and manoeuvres. The picturesque ranges behind the village show the natural beauty of the whole area. The village is only accessible on certain days; mainly weekends and school summer holidays. We visited on a weekend in May, when the sun was out and spring was in the air. It’s hard to find, down a steep and sharp bend on a winding single track country road, with lots of cars reversing as they realise they’ve missed the turning. A drive down the hill with stunning views over the valley leads to a large and busy car park, as this is a popular place, especially on a sunny day. However, the car park is the only evidence of tourism in the area. Local byelaws mean that loos are the only facilities available for visitors, as any form of commercial enterprise is forbidden. The village itself is the star attraction. Only two buildings still remain fully intact, the church and the school, both of which were restored by the army around the 1980s. The Elizabethan manor house is sadly long gone, demolished in the 1960s, with its remains in a cordoned off area of the woods. Everything else has been left to the ravages of time and most buildings are simply ruins, with tumbled-down walls, weeds growing in the cracks, empty windows looking out over the wilderness. A few walls of top floors remain, where you can see the rusted bedroom fireplaces; some still have their metal grates. The school and church are both small museums full of memories of village life. The school was particularly fascinating, with names still above the pegs written in faded copperplate script, photos of the pupils who had been there and a nature table covered in the dusty ancient treasures of children who had found their delights in the natural world around them. 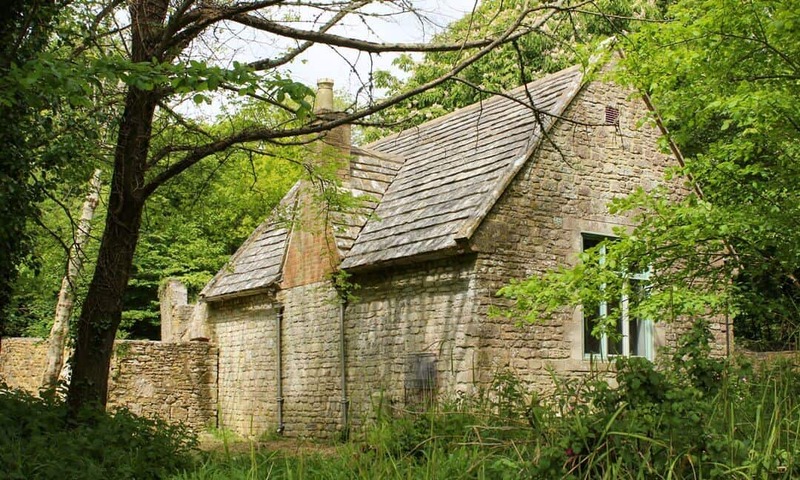 The Tyneham schoolhouse, one of the few complete structures still left in the village. The rest of the village is softly crumbled walls, lush vegetation and the odd stark remnant of a previous life. 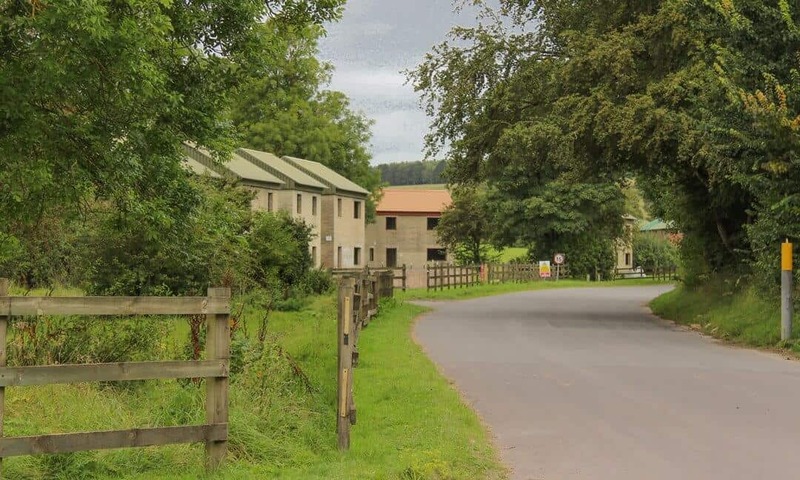 The whole village is maintained by the army, with grass cut and paths kept clear, ponds cleared of vegetation, striking just the right balance between making the site accessible and keeping its feeling of wilderness. Ancient trees were covered in blossom on that spring day, the small ponds teemed with life and the stream flowed, all oblivious to the absence of the inhabitants that had created and nurtured them. There is a 1920s phone box outside what was the post office, complete with 1940s posters plastered inside as well as a telegraph pole standing proudly over the ruins. Small information panels tell you who lived in the cottages, what their profession was and often include a black and white photograph, helping you to visualise the lives of the people who had lived there so contentedly. You can wander at will and explore the whole village at your own pace, following the tracks and ruins to see where they lead you. 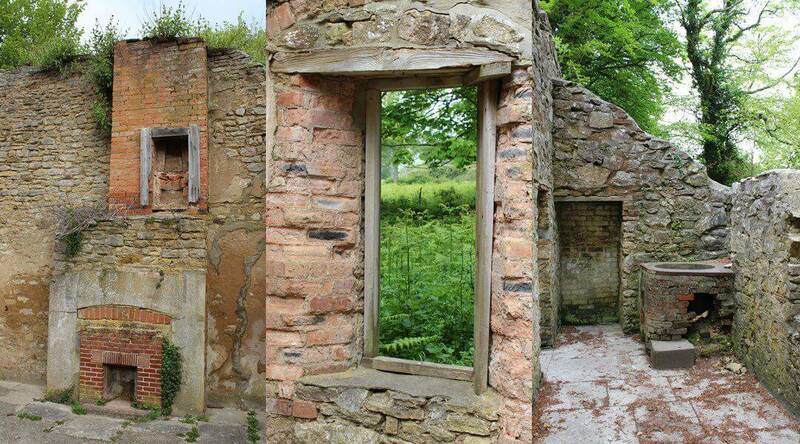 Nature slowly reclaiming the village - fireplaces, views through an empty window and the crumbling walls of an outhouse. The farm is the other side of the car park to the main village, and is in the process of being restored. The stables are intact, dusty and full of hanging cobwebs. There is an oil lamp still on the windowsill, a saddle slung over a stall, a 1940s radio set under a thick layer of grime and neglect. 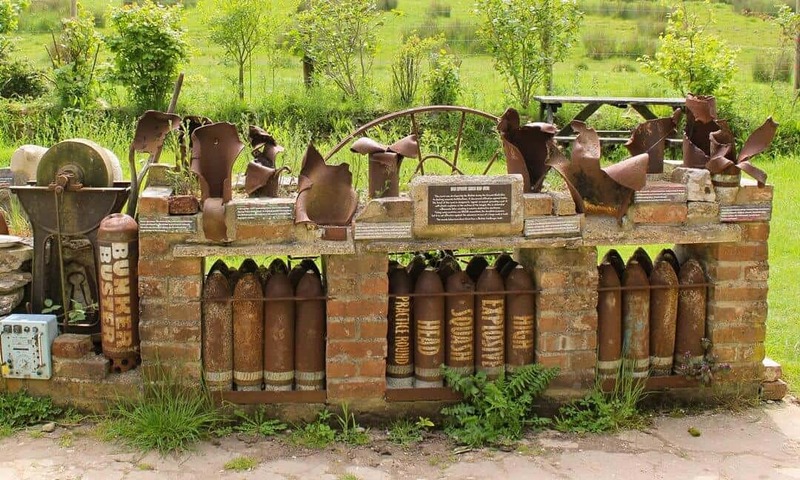 Relics of the village are assembled in a display against the backdrop of the valley views, a rusted collection that includes the mangled shells of exploded ordinance. Rusted shells and farm equipment form an ad hoc display outside the farm buildings. 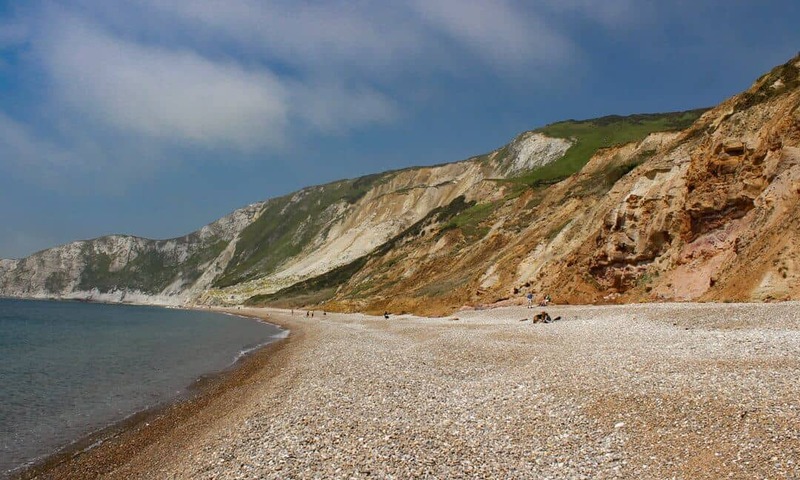 After exploring the village and the farm, we walked to Worbarrow Bay, past the fields fenced off with barbed wire and warning signs about the danger, the bombed out tanks and huts from the live firing exercises, to a pebble beach without a single shop or sunbed. People sat dotted around just enjoying the view and listening to the swoosh of the waves on the massive pebbles, or the scrunch of others wading through those heavy pebbles as they walked the length of the beach. Sprigs of purple and yellow flowers forced their way through the heavy clay of the white cliffs which formed a backdrop that faded away into the distance, merging with the pale blue sea in the watery May sunshine. Other than voices and laughter, there was not a man-made sound to be heard. The unspoilt beauty of Worbarrow Bay. I absolutely loved Tyneham and found it incredibly moving as well as beautiful. As someone with a strong aversion to the ugliness and chaos of the modern world and who prefers the overgrown, dilapidated and the signs of nature reclaiming its space from human habitation, it was glorious, the sheer prodigious greenness of the place was a joy. The absence of the modern world and the abundance of nature was soothing, restorative and above all, very peaceful. In my research about the history of Tyneham I read an article by someone who had found the place disappointing, called it a ‘sanitised showpiece with weeds’ with ‘no atmosphere’. All I could think was that the writer must have no soul at all, no imagination to be able to conjure up the lives and sense of history that is so easy to find here. Idyllic scenes show why the villagers were so desperate to return to their homes after the war. Tyneham is not well signposted and has no postcode for satnavs, as well as poor mobile phone service. Click here for detailed directions. There are no shops or kiosks anywhere near by, so take your own food and drinks. There are picnic benches near the car parking area. There are no bins on site so you must take your rubbish home. Dogs are allowed but again their rubbish must be taken home too. It's a wonderful place for children to explore, although you will need to keep an eye on younger ones near the fenced off areas to prevent them from going where they shouldn't. Older children may well like to take a camera as it is a great place for taking good photos. The school room is a must for children as there is so much to see that they can relate to in there. Ensure you take plenty of snacks and water to keep them going as the site is far away from supplies. Sensible shoes are a must, particularly for the beach, as those pebbles are very hard to walk through. Sun hats too if its a hot day as there is not much shade once you're out of the village. Allow plenty of time for the walk to the beach as it's over a mile away from the car park and main village. The site is not particularly pushchair friendly, although an off-road pushchair may cope. Imber, a small village in the middle of Salisbury Plain in Wiltshire, has a history that can be traced back to the Iron Age with evidence for a small settlement in the area. Imber was later specifically mentioned in the Domesday Book with just seven households. The church of St. Giles was built in the 13th century and the village also had a manor house, a Baptist chapel, a schoolroom and a pub as well as residential properties. The village was always very isolated due to its remote location, with the villagers working closely connected to the land and agriculture. 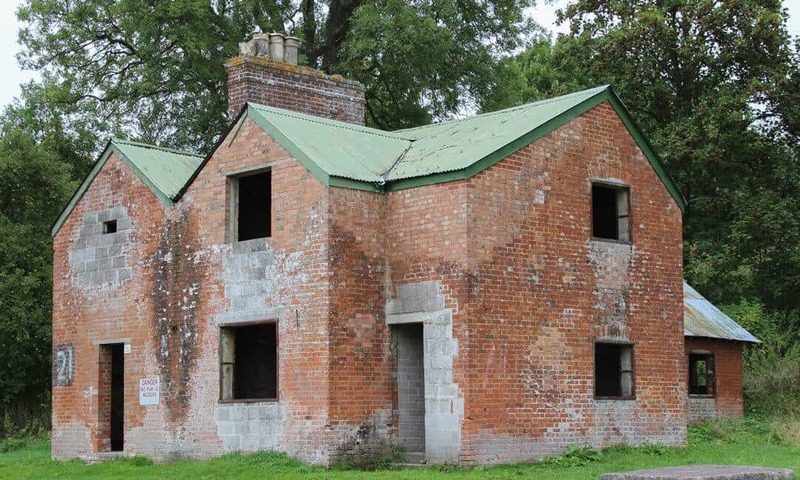 The population of Imber never went over 440 and by the 1940s it was down to 150, as Imber was also affected by changes brought about by the introduction of mechanised farming equipment and greater mobility for inhabitants, even in this remote area. In the 1920s the military, who already owned a great deal of land around the village, started buying up farms and properties, leasing them back to the villagers. Times were hard and many welcomed the extra money, little realising what the military’s long term plan was. The empty shell of a house, patched up by the military after exercises. In 1942, Imber was the scene of a rehearsal for a tactical demonstration of airpower, when Spitfires and Hurricanes were to demonstrate hitting targets on the ground in front of Churchill and other dignitaries. The event was watched by many spectators, both civilian and military. One of the pilots, a 21 year old American, mistook the spectators for dummies as part of the demonstration, and opened fire. 25 people were killed, some of them Home Guard residents of Imber. The tragedy is referred to as the ‘Imber Friendly Fire Incident’, and one can only imagine how the residents of Imber felt when 18 months later, they were ordered to leave their homes. With the plans for the D-Day invasion in full swing, and the need for more space to prepare for the D-Day landings, specifically for the American troops to practise urban fighting, it was easy to remove the villagers when they were just leaseholders and tenants. They were told in November 1943 at a public meeting in the schoolroom, being given just 47 days’ notice with not even one final Christmas in their homes before they had to leave by 17th December. Most villagers went peacefully, doing their bit for the war effort, although a few had to be forcibly ejected. The local blacksmith was found sobbing over his anvil on the day of departure; he died only one month later from a broken heart, and was the first resident to be allowed to return to the village for burial. Residents received no compensation, as they did not own their land, and were not given anywhere to go, only travelling expenses and the value of their garden produce. Relying on family and friends, they had to start their lives all over again, far away from the homes they loved and the community they grew up with. For many years the military denied that they had promised that the residents could return after the war, and court cases were held to determine if the villagers could return home. Although the original eviction notice promising they could return was eventually found, the judiciary still found in favour of the military and the village has remained under military control. The church was never relinquished and is now owned by the Churches Conservation Trust, who may own the church but the MOD still controls the access to it. The House of Lords ruled that the church must always be allowed a public service on the Saturday nearest St. Giles Day, September 1st. It is also usually open at Easter, Christmas and some Bank holidays, it varies considerably. Housing built by the military to practise urban warfare. We visited Imber on a bleak and foggy day, even though it was August, with a long drive across the barren Salisbury Plain, down narrow and unfamiliar roads that all looked the same. Imber is right in the middle of a restricted training area and the access roads on all sides are only opened at certain times of the year. Imber sits a good 5 miles in the centre. The journey takes you past military checkpoints, mournful looking cows and roads lined with barbed wire and danger signs telling you not to leave the roadway. On each side of us, the rusted shells of blown up tanks appeared out of the gloom as we drove past, lending an air of morbid desolation to the journey. On arrival in Imber there are several large parking areas, with no parking charges. Unlike Tyneham, you cannot wander where you wish as here you must stick only to the roads. The buildings are mostly intact, albeit with no windows and tin roofs replacing the original ones, but you are not allowed in them as they are not structurally safe enough and may contain unexploded ammunition. The focal point of the village is St Giles Church, the only active building left in the village. Outside the churchyard is fenced off with barbed wire but the church itself is welcoming and active, with light streaming through the stained glass windows, comprehensive displays about life in the village and people selling homemade jams and cakes. Church services are sometimes held here and there was a real sense of people fighting the odds to keep the place alive. Rusted tanks on the roads to Imber, in the restricted training area of Salisbury Plain. The rest of the village, which you can only admire from the road, looks uninviting and rather gloomy. The houses have lost their sense of being homes, they just look like shells, some with shuttered windows and set back from roads which are designed for tanks, not people. 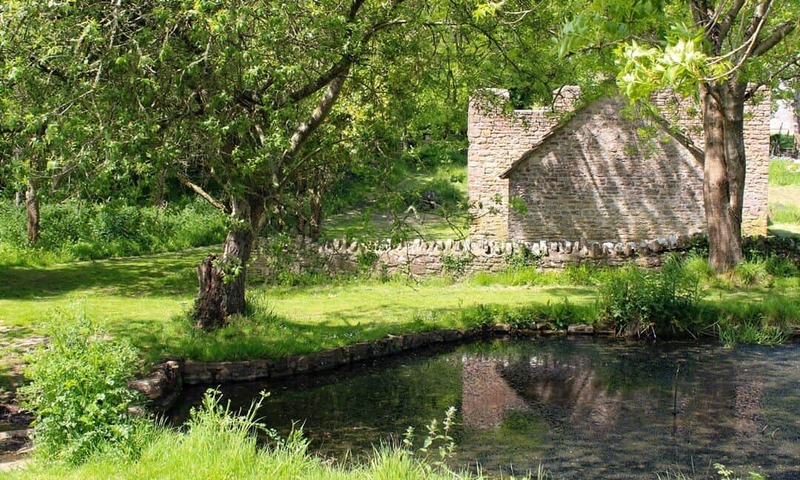 Even though they are more complete structures than at Tyneham, it is hard to imagine an active and bustling village life here, which it clearly once was, based on old photographs. As many of the original buildings were destroyed or knocked down over the years, the MOD have built some of their own – bare shells of bricks, breeze blocks and tins roofs in browns, greys and greens that form a make-believe housing estate for the military to practise urban warfare. They are fascinating but slightly ominous. 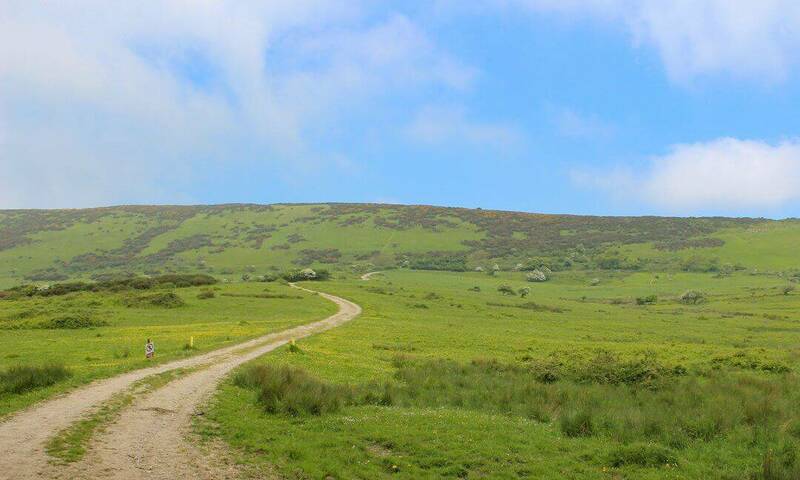 The landscape around the village is a lot less inviting than Tyneham as Salisbury Plain is a high chalk plateau of open plain and fields where the wind picks up and rolls through the dry valleys. Around Imber the vegetation is cut back, the grass is cut short and the trees seem to tower over the buildings rather than blend in. There are no remnants of gardens or communal village areas, just isolated brick houses in the barren grass looking very inaccessible and displaced. The prevalence of barbed wire and danger signs adds to the sense that this is a village that has been completely consumed by its military owners. Staying firmly to the paths next to what is left of Imber's pub. Imber really does feel like a true ghost village, one that has had its heart ripped out and where I found it difficult to be able to imagine the lives of the previous inhabitants. It is an interesting place and is well worth a visit, particularly as the MOD keep reducing the amount of available public access days, so it wouldn’t surprise me if they stop altogether at some point in the future. However, Tyneham is the village I would truly advise visiting. It was beautiful, charming and still felt alive, as if the traces of the inhabitants were still there, hiding just out of sight in the undergrowth. It was poignant rather than bleak, affirming rather than depressing and the perfect backdrop for the imagination to flourish. Imber is not signposted and has no postcode for satnavs, as well as no mobile phone service. Click here for detailed directions. These vary considerably although usually include Easter, some days over August and Christmas. Check here for more detailed information. It is also worth following Imber Church on Facebook as they post the latest information on there. Always check the that the site is open before setting out as last minute changes can occur. It is imperative that people do not stray from the paths or go inside any of the properties other than the church. The MOD may restrict all future public access as visitors keep ignoring the rules by trespassing. There is a risk of injury or death if you do so. You can also be prosecuted by the MOD. The church sells home made cakes, tea and squash. There are no bins on site so you must take your rubbish home. Dogs are allowed but again their rubbish must be taken home too. The church usually provides temporary portaloos for visitors. The Imber Bus is an annual feature, where visitors can take a classic red Routemaster bus directly to the village. Further details can be found here. Imber is probably best suited for older children, who will understand to stay on the roads and the dangers of straying off them. The site is push chair friendly and easily accessible. Taking the vintage bus to the site may make it more fun and more of an adventure for them. I am a travel obsessed bookworm with a passion for history and archaeology. I have a degree in Philosophy and an MA in Archaeological Theory, the latter of which I studied under Thomas Dowson at Southampton University. I spend a great deal of time planning historical trips that I don’t always have the time to take, or reading about early 20th C social history. My secret mission is to get my children as keen on history and travel as I am. Mixed results so far. What a super piece: so informative and interesting. I enjoyed it very much, and am planning visits to both these abandoned villages. Thank you!